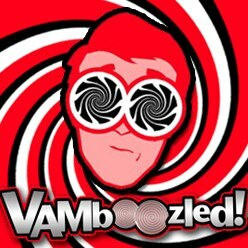 Surveys + Observations for Measuring Value-Added | VAMboozled! This entry was posted in Research and tagged Gates, Intended Consequences, Measurement Errors, Reliability, Research Study, Solutions, Statistics, Validity by Audrey Amrein-Beardsley. Bookmark the permalink. I have not read this chapter, but the constructs in the student survey reward teachers who have orderly classrooms, assign and check homework and are in the role of sage on the stage. I have found no reports on how the “proctored” character of the administration may influence what children, including kindergartners may register about their teachers. The Danielson rubric has no research to support its reliability or validity for the full range of grade levels and subjects. We exchanged correspondence on this matter. She was quick to respond, but did not think it mattered BECAUSE it was widely used. Nice circular reasoning and one size fits all. Recall that the MET studies of “classrooms” were really video-taped lessons selected by the teachers with perks for their proving these records. As I recall, reliabilities with the Danielson framework became respectable only with multiple raters and multiple observations of the videos–not even close to the actualities in many schools. Why not just flip a coin? With those numbers, the old coin toss is just as reliable and valid based on statistics. It would also be cheaper.